All Coca-Cola needed to do to rejuvenate Diet Coke was add some Feisty Cherry, Twisted Mango, Ginger Lime and Zesty Blood Orange. In skinny cans. Diet Coke posted sales volume growth in North America during the first quarter, thanks in large part to those four new flavors. Coca-Cola (KO) said it was the first time Diet Coke's volume had risen in the United States and Canada since late 2010. 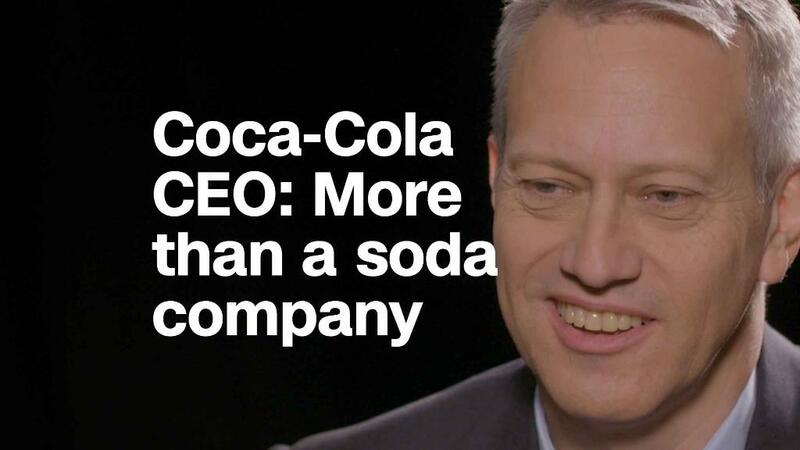 The new Diet Coke flavors, introduced in January, were "bold enough and interesting enough" to attract more Millennials and people who prefer flavored sparkling water to soda, CEO James Quincey said. The long slump in Diet Coke sales is partly because of the popularity of LaCroix, a sparkling water brand owned by National Beverage (FIZZ). Coca-Cola is looking to gain ground in that market: It bought the rights to sell the Mexican mineral water Topo Chico in the United States last October. But consumers, especially Millennials, have also turned away from diet soda in favor of healthier options. Quincey, who took over as CEO of Coke last May from longtime chief Muhtar Kent, told CNN's Poppy Harlow in February that Coke needs to shake things up if it wants to attract younger customers. The new Diet Coke flavors are an example of that. "We've got to experiment, which means learning from the tech industry, the 1.0, the 2.0, the 3.0. Don't make it perfect, get something out there, learn, and make it better," Quincey told Harlow. Coke has been busy with other newish products. It rebranded Coke Zero as Coke Zero Sugar — and that subtle change also seems to be working. Sales rose at a double-digit pace in the quarter. Tea and coffee sales were up 5%, too. Wall Street wasn't impressed with Coke's results, though. Even though overall sales and profits topped forecasts, the stock fell nearly 2% on Tuesday. Shares are down 6% this year. Pablo Zuanic, an analyst at Susquehanna Financial Group, noted that lower pricing in North America may have helped boost sales. And Wall Street may not be pleased with that. He said he expected the stock to "tread water" as a result. For the past five years, Coke's stock has lagged top rival Pepsi (PEP), which also owns a thriving snack food business, and Dr Pepper Snapple (DPS), which recently agreed to sell itself to the coffee giant Keurig Green Mountain. Pepsi will report its latest earnings on Thursday.